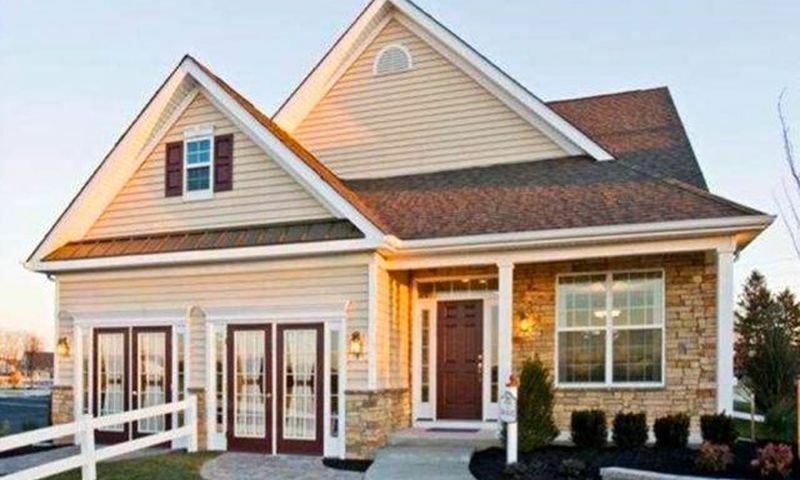 Villages at Aberdeen is a 55+ community located in Clayton, New Jersey. The community's gorgeously manicured grounds provide its residents with opportunities to stay active and socialize with neighbors and friends. This neighborhood of single-family homes offers low-maintenance residences designed specifically for active adults. Villages at Aberdeen offers homes with spacious one-story floor plans with island kitchens, master suites, and spacious living rooms. Here you'll find a welcoming, cozy atmosphere that is close to entertainment, shopping, and dining throughout the surrounding area. Homebuyers aged 55 and better are welcomed to this active adult neighborhood where they are greeted with a laidback and joyous environment. This gorgeous community is very walkable with lighted sidewalks and scenic ponds that provide a very picturesque backdrop. Residents can take relaxing walks, brisk jogs, or invigorating bike rides throughout the community. Residents throughout Villages at Aberdeen enjoy living in an environment with peers who share the same interests and hobbies. This 55+ community was started by J.S. Hovnanian in 2011 and was completed in 2016 with 160 single-family homes. There are four models offered that range in size from 1,558 to 1,756 square feet. Homes feature two or three bedrooms, two or three bathrooms, and an attached two-car garage. Adult buyers looking for a 55+ community love Villages at Aberdeen because of the reasonable home prices and homeowners' association dues, beautiful home designs, low-energy cost as well as a reputable builder. Villages at Aberdeen is located in Clayton, New Jersey. The community is conveniently situated near Route 55 and Interstate 295 in Gloucester County. There are many shops, restaurants and recreational facilities located nearby. Philadelphia and it's international airport are about 30 miles away. The Broadway Theatre of Pitman and Performing Arts Center is only ten minutes away from the community. You can satisfy your taste buds at a variety of restaurants including Barbara Ann's, Twin Kiss, Nick's Pizzeria and Steakhouse, Bobby Chez, Applebee's and much more. The Deptford Mall is about 15 minutes away and the Regal Cross Key Stadium 12 Movie Theater is only five minutes away. Villages at Aberdeen in Gloucester County, NJ is an active adult community that is close to everything to stay active and entertained. Check back soon for more information on the lifestyle in Villages at Aberdeen. Villages at Aberdeen was developed by J.S. Hovnanian between 2011 and 2016 and contains 160 single-family homes. There are four models offered that range in size from 1,558 to 1,756 square feet. Homes feature two to three bedrooms, two bathrooms, and a two-car garage. I signed a contract in January and after significant weather delays, am anxiously awaiting construction of my new home. No doubt about it that the tax abatement was the primary factor in my purchase, and although i am not familiar with this branch of the Hovnanian development family, what i have seen and heard has been positive. My only concern was the adjacent industrial complex, but hopefully that will not prove a problem. If you have to live in South Jersey, this is a good place to consider. Since i do not live there yet, i am giving 4 stars based on what i hope will be a good experience. I have been looking at the homes here and really like what I see. The price is good compared to the resale homes I've looked at. I'd rather have something new and as a single woman I appreciate the low tax benefits and the quality the builder puts into the homes. I hope to make a decision soon! I'm ready to start on the next chapter of my retired life in a new home. I didn't feel giving 5 stars was appropriate since I don't live here yet, but from what I can see so far and what others have told me, it's a great neighborhood! 55places.com is not affiliated with the developer(s) or homeowners association of Villages at Aberdeen. The information you submit is distributed to a 55places.com Partner Agent, who is a licensed real estate agent. The information regarding Villages at Aberdeen has not been verified or approved by the developer or homeowners association. Please verify all information prior to purchasing. 55places.com is not responsible for any errors regarding the information displayed on this website.